8. REPAIRS: Please report any necessary repairs to the Keller Williams Realty Jersey Shore office between the hours of 9:00 AM to 4:00 PM at 844-KWSHORE or email [email protected]. 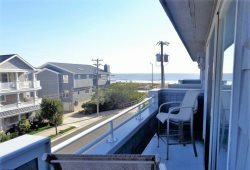 Keller Williams Realty Jersey Shore is not responsible for any maintenance or repair of the Property and any such obligations or issues are solely responsibility of the Guest and Owner. REPORTING DAMAGES: Upon arrival, if you discover any damage to the Property or have an incident resulting in damage to the Property - Please report it immediately to our offices at 844-KWSHORE or email [email protected].